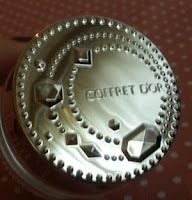 I don´t usually pay much attention to the base makeup line from Coffret D´or as the foundations are too dark and so far nothing else really cought my eye. As usual among Japanese brands there is a new base foundation line out for the fall/winter season with generally more moisturizing richer textures for the cooler weather. 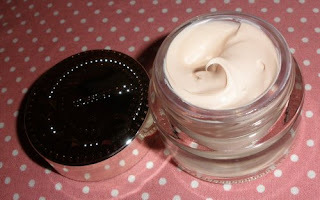 This year a small pot of a pearly pink cream looked very appealing and when I read that it´s a moisturizing primer/base for eyes and lips I had to try this. Adambeauty listed this for US$16.50 incl. shipping (but add US$2 per order for registered mail) which seems to be the lowest price I can find online. 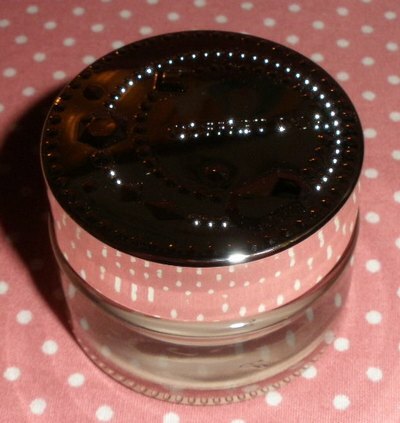 The heavy small glass jar reminds me design-wise of Jill Stuart...it´s really pretty with a cover embossed with cute jewels. 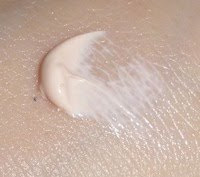 The Moist F Coat is a smooth light pink cream with a fine pearl sheen. 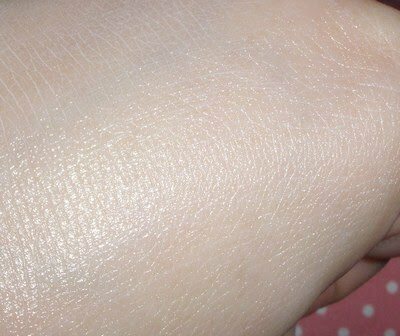 I use it mainly around my eyes and I love the highlighting effect this gives. It´s not actually concealer as it´s not pigmented, more like a brightener or base but for my only light eye-circles it´s a great product. This feels moisturizing and smooth and really is a pretty product. Good also as a highlighter for the cheeks/forehead. This is not scented and contains 13g so this should last quite a while as I only need a little per application. Overall a nice little item and inexpensive for the amount one gets. I can recommend this! According to the Japanese product description on the packaging, this is a spot use moisturising gel, not a concealer. 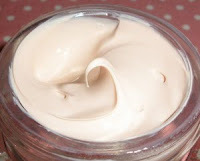 It is recommended for use on the dry patches around the eyes and mouth and provides long-lasting moisture. It will also help foundation/makeup to last better. The label also says that it is non-fragranced and "pre-makeup" (I guess that means it's to be used before makeup). The moist f coat is "Moist Flat Coat" in Japanese. Hope that helps! p.s. you don't have to publish this if you don't want to! Ooh I have bought this but not used it yet. 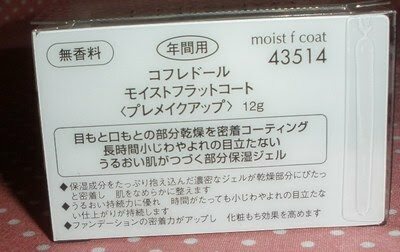 I have dry patches on my cheeks so will use this for priming :) I love what you said about their foundations being to dark - I love this about them as I'm about NC35-40 at the moment and find Japanese bases a bit too light! 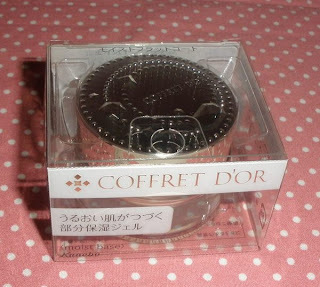 I bought Coffret D'or's new foundation in OC-D which is dark dark dark (by Japanese standards) and matches me well!